Indonesia’s rich history and sophisticated culture is well known worldwide. Strategically situated at the crossroads of European and Asian commercial sea routes, the archipelago came under numerous foreign and ethnic influences. Today’s Indonesia is inhabited by a multitude of people from different origins and cultures. Between ancient temples, artistic and cultural heritage, its discovery offers endless wonderments. A number of historians apply the term “classic” when referring to the Indonesian Hindu-Buddhist period between the fifth until the fifteenth century CE. Remains of past Hindu and Buddhist eras are numerous on Sumatra and Java islands. Two famous dynasties shared the Central Java territory during the eighth century: the Buddhist Sailendra and the Hindu Sanjaya. The Sailendra family evicted the Sanjaya and built the massive Borobudur temple, which still stands firmly as evidence of the dynasty’s immense power. 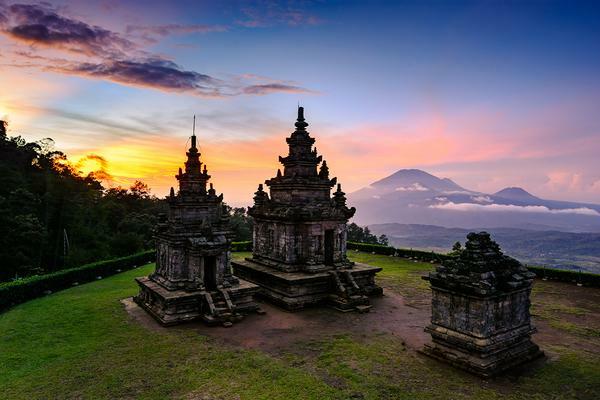 Meanwhile, the Sanjaya became vassals and built a series of smaller Hindu monuments such as the ones found on Mount Ungaran or Dieng plateau. They eventually won back over the Sailendra empire and erected the famous Prambanan temples to celebrate their victory. In the eleventh century, Kediri became one of the most flourishing empires in Java. The people from Java controled the Malay peninsula sea trade, becoming master shipbuilders and skilled navigators. Indian culture, especially the two famous epic poems, the Ramayana and Mahabharata contribute to the enrichment of literature in Java. Many kingdoms and principalities reigned in Sumatra and Java. Majapahit is certainly the most famous. It reached its peak during the fourteenth century under the king Hayam Wuruk. Under his reign, tolerance between the two religions, Hinduism and Buddhism, was maintained. At the end of the fifteenth century, the last Hindu kingdoms of Majapahit and Kediri were defeated by Muslim dominance coming from Sumatra and the north coast of Java. 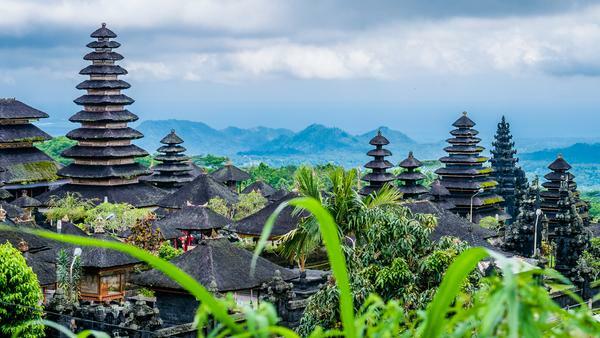 A number of Hindu nobles, priests and artisans sought refuge in Bali. The Hindu-Buddhist empires deeply imprinted on Indonesia’s history and culture. Numerous majestic temple complexes testify to their great influence. In Java, the Indian sagas of Ramayana and Mahabharata have long inspired dance and theater performances. The former kingdoms of Yogyakarta and Surakarta have some of the most reputed classical dance schools in the country. Nowadays, most Indonesian Hindus live in Bali. On the island of the gods, Hindu ceremonies, offerings and prayers mold the people’s daily life. Hinduism and Buddhism are both official religions in the republic of Indonesia and many Indonesians remain firmly committed to preserve their artistic and cultural legacies. Indeed, one of the five national principles, “Bhinneka tunggal Ika”, meaning “Unity in Diversity” was drawn from the poem Sutasoma, written during Hayam Wuruk’s reign. What a nice demonstration of respect towards their cultural heritage!